Are you in the midst of planning this term's kids' messages for church worship services? This is one resource that you need to check out! These segments are not just object lessons, powerful as they may be. 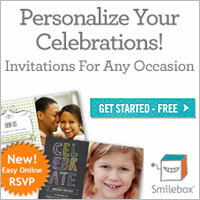 These activities present interactive experiences that will involve the whole church family. Group Publishing describes it this way: 'Transform every sermon into a family-friendly, everyone-engaged, nobody-fidgeting experience. Just add one of these 3- to 5-minute activities and you’ll see children sit up…lean forward…and hang on every word. Which means parents and other grown-ups will be more attentive, too.' Each segment requires little or nor prep, common themes or passages and includes a CD with take-home family bulletin inserts. Download a sample segment and see for yourself. The book is available from our online store or from Group.